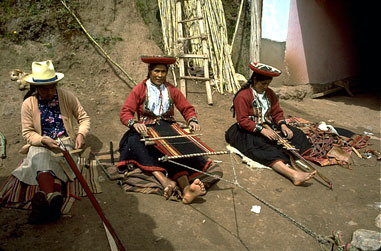 Nilda’s sisters Antonia and Flora weave with their mother in the courtyard. 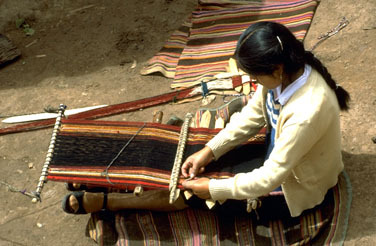 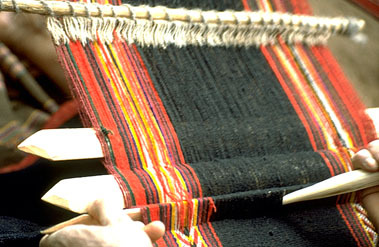 Guadalupe, in the center, works on one half of a larger weaving, a manta. 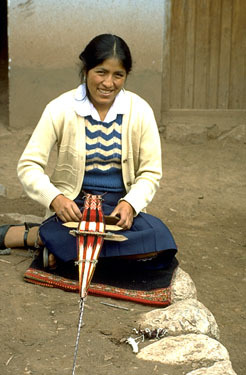 Antonia and Flora weave belts which they plan to sell at the village market on Sunday. 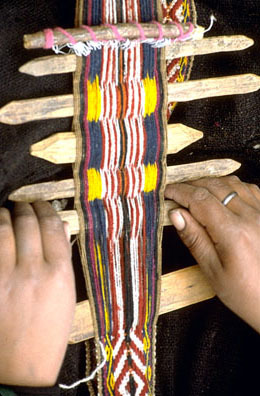 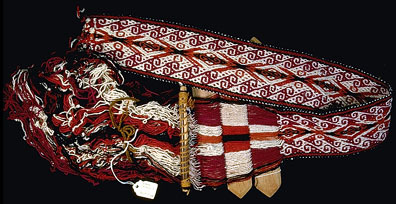 Each weaver has tied one end of her backstrap loom around her waist and looped the other end around a nail pounded in the ground. 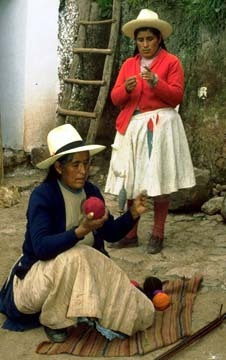 At this time, in 1982, Guadalupe and Antonia often wore the traditional village dress of Chinchero, especially on Sunday. 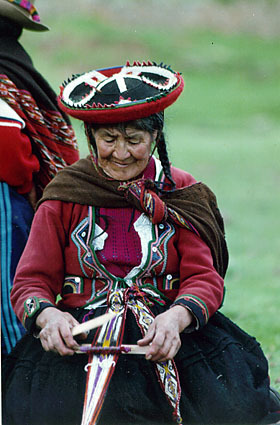 The younger generation in Chinchero was gradually giving up traditional dress except for special occasions. 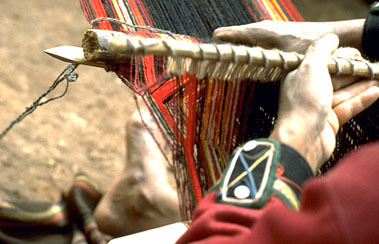 Behind the weavers, ladders once led up to a higher level where animals grazed.